Ever just really need cake? Yup, me too. I always put off making cake though as, in my head, it just takes too long to make. Not this super Easy Lemon Cake! Chuck it in a bowl, mix it and bang it in the oven. Job done! I’m not even kidding. It’s really that easy. 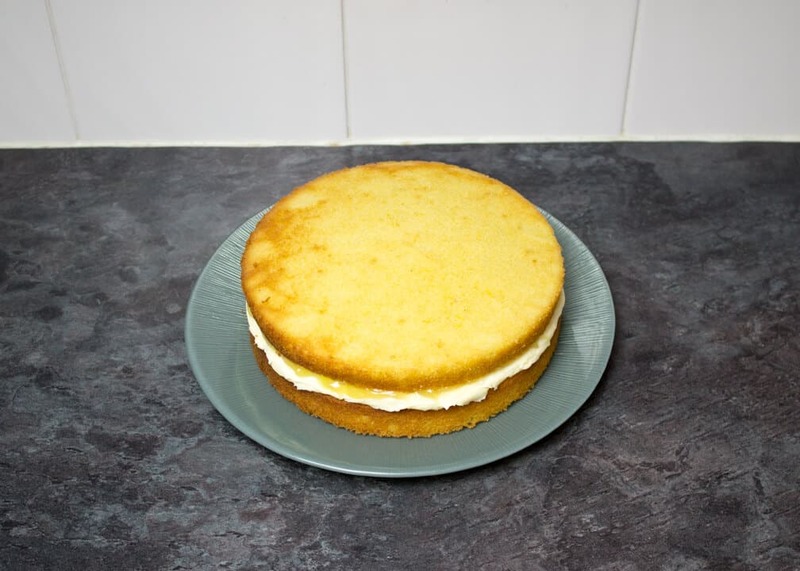 No mess, no fuss just a beautiful lemon cake that you’d be proud to share with family & friends. 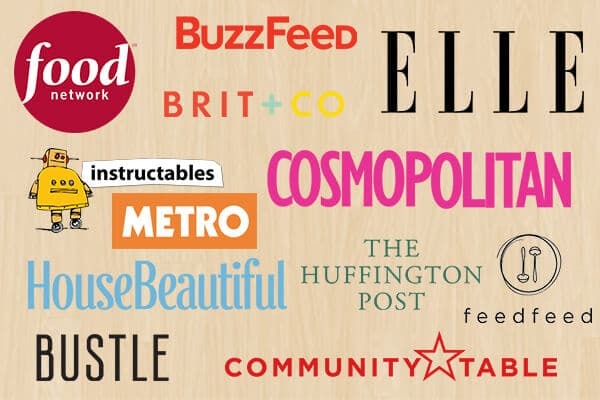 Need a vegan version to impress with instead? 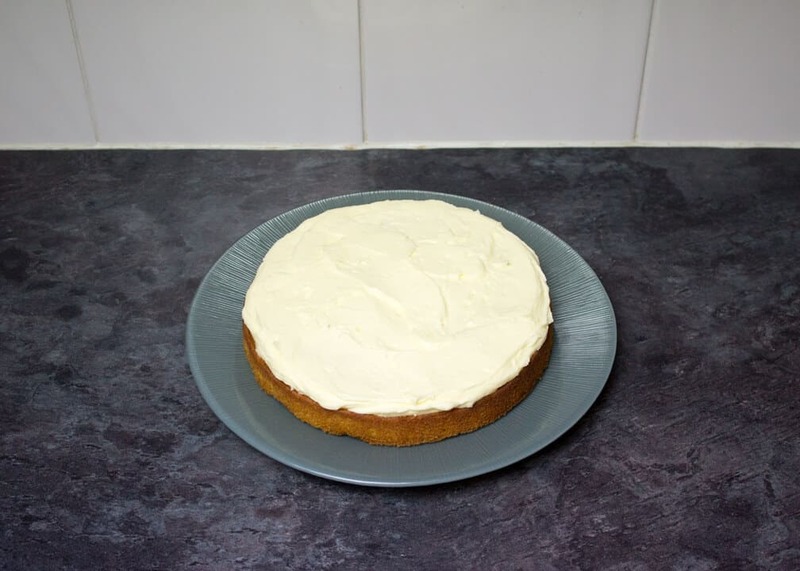 You should totally check out my best EVER dairy free / vegan lemon cake recipe! 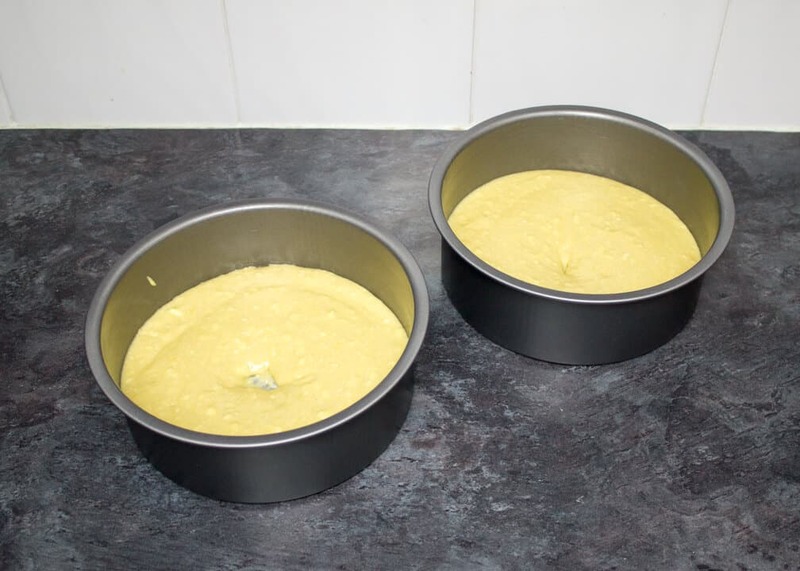 Preheat your oven to 190°C/Fan 170°C and grease & line the base of the two tins with baking paper. 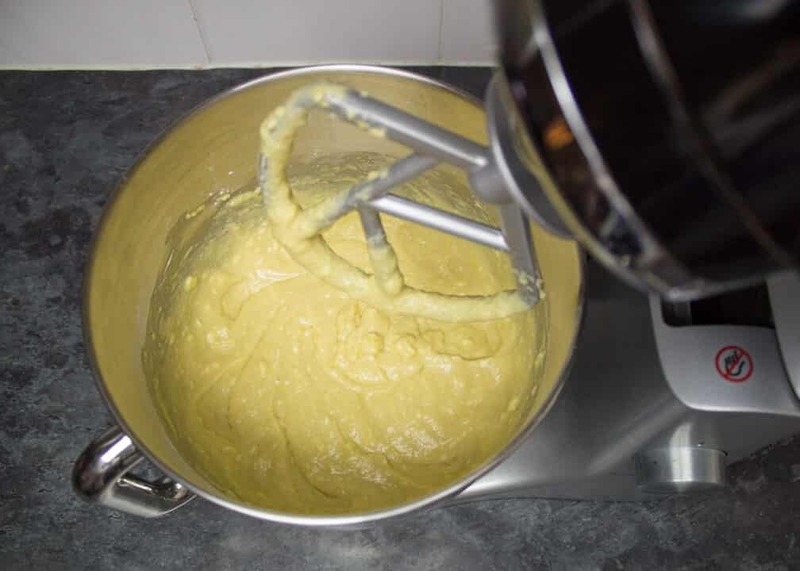 In an electric stand mixer or a large bowl with an electric hand whisk, beat together all the sponge ingredients until smooth. There may be a few little lumps but don’t worry – it’ll be fine. Bake in the centre of the preheated oven (preferably on the same shelf) for about 15-20 minutes or until a skewer inserted into the centre comes out clean. Allow to cool in the tins for 5-10 minutes before removing, peeling off the baking paper & cooling completely on a wire rack. TOP TIP! 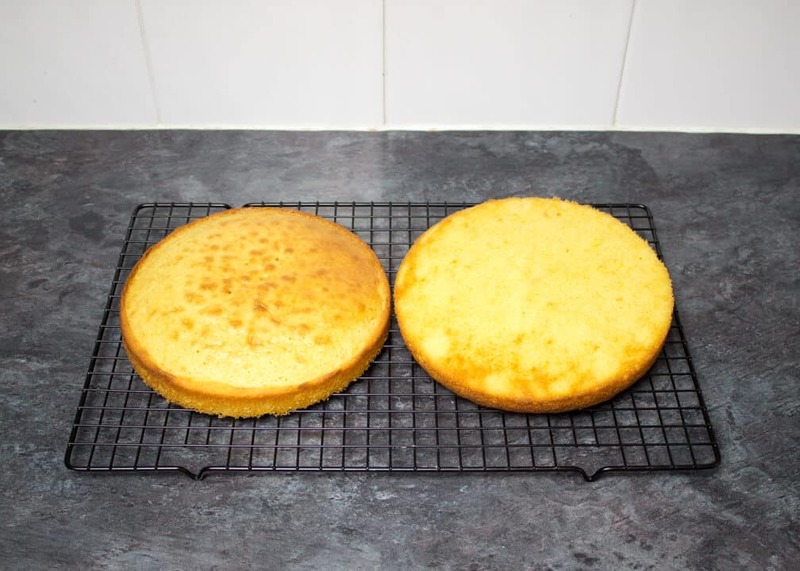 Allow one of the cakes to cool upside down so you don’t get the criss cross cooling rack lines on what will be the ‘top’ of your cake. 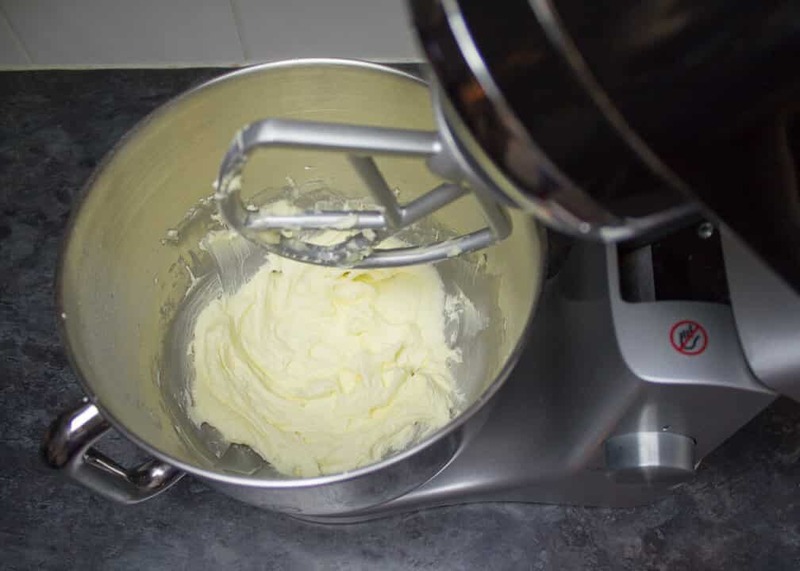 Add all the buttercream frosting ingredients (except for the milk) into an electric stand mixer or a large bowl with an electric hand whisk. Beat on a low speed to start with then increase to a higher speed once the icing sugar has dissolved. Then beat on a high speed until light & smooth. If you need to loosen it a little, add a splash of milk at a time until you get the consistency you want. 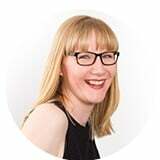 Once the cakes are completely cool, if they have domed at all, level them by slicing off the dome with a sharp knife. Place one of the cakes onto a serving plate or cake stand and spread the buttercream frosting evenly over the top using a spatula. 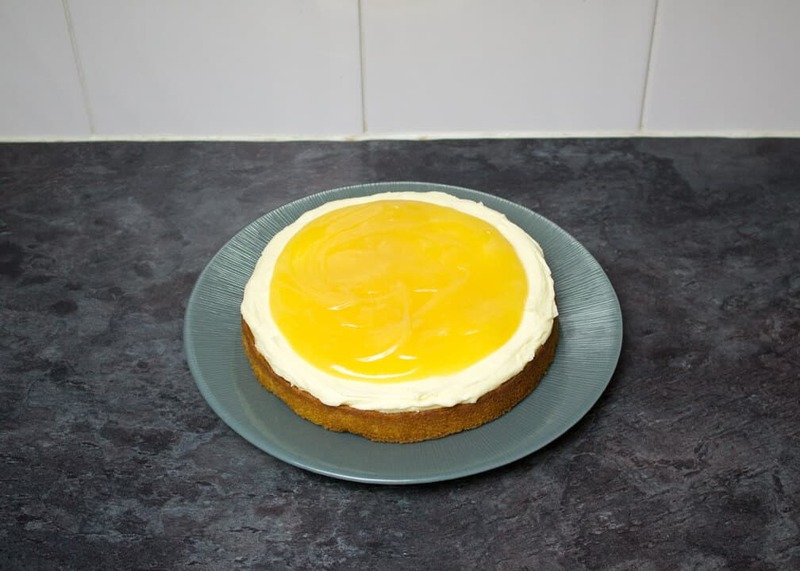 Now pop the lemon curd into a bowl, loosen it by giving it a good stir then pour onto the cake. Smooth out with a spatula so it’s almost to the edge. 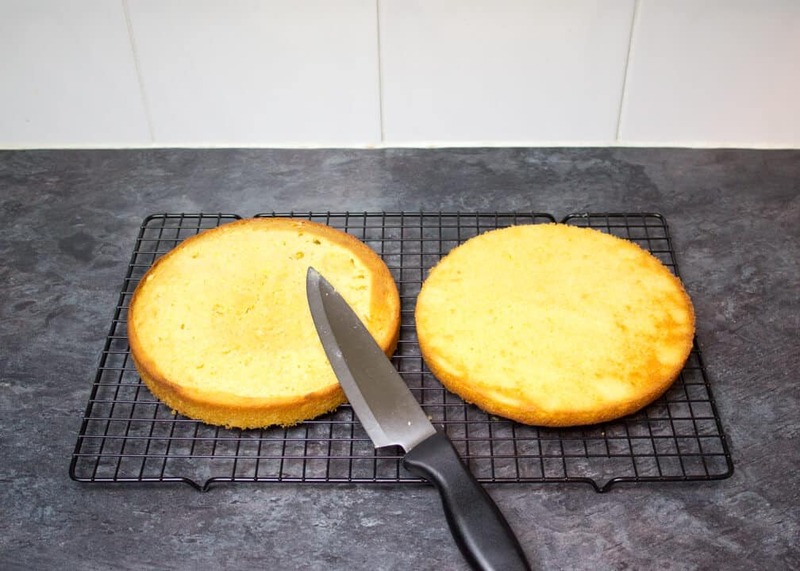 Now carefully lay the top cake layer (flat side up to give a nice neat finish) on top and gently squish onto the bottom so that gorgeous lemon curd oozes out the sides a little. At this point, you can store in an airtight container in a cool dry place for up to 24 hours if you need to. Right before serving, sieve icing sugar all over the top. 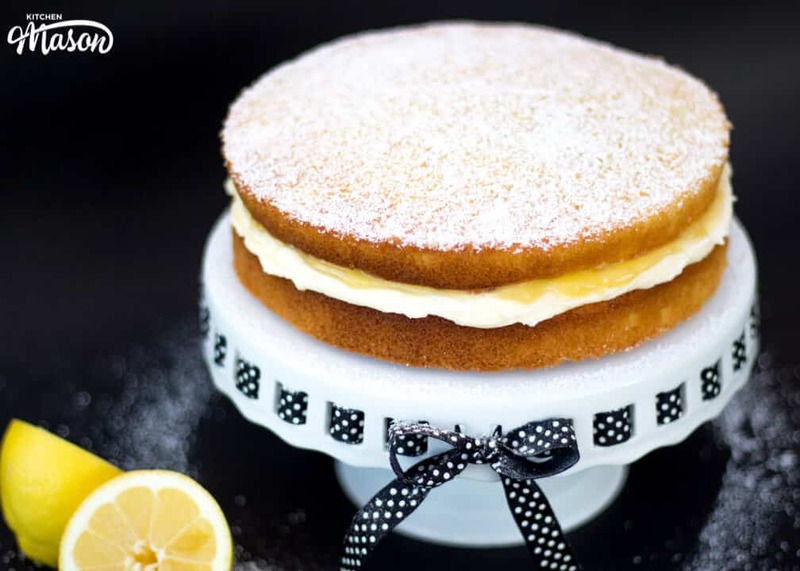 I don’t know about you but I would certainly be happy to fill my face with this gorgeous Easy Lemon Cake! I mean, I was happy to fill my face with it. Ok I kind of accidentally on purpose ate rather a lot. If it’s any consolation, everyone else who managed to get a piece made lots and lots of yummy noises. It’s not just me! 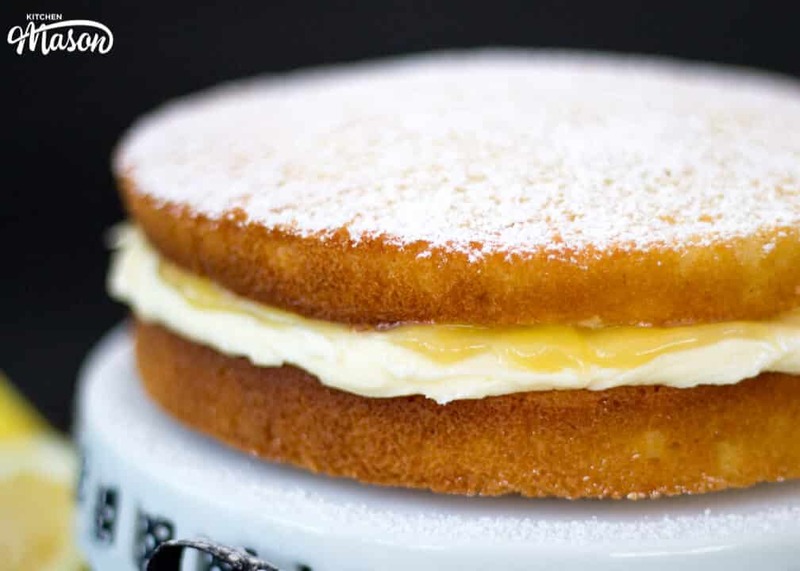 This really is a super delicious & easy lemon cake to make though. 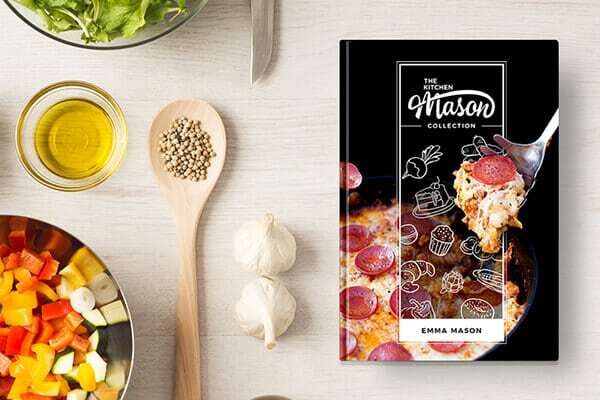 If you’re not a confident baker, this is definitely a great starting point for you!